Order Your eBook of "Yes We Dream. Yes We Can. Yes We Will: Solutions For Realizing Your Personal Power In An Obama Era." today for only $8.88. America is facing an era of exciting, unprecedented change that will affect the world. Our country has stood with Barack Obama, its new president, and said, “Yes we can!” Now, for the first time, Rodney Sampson offers every American a blueprint for fulfilling his or her dreams in the new, positive yet challenging era we are entering together. In stirring prose, the author offers fascinating glimpses into Obama himself and what factors allowed him to overcome incredible odds to be elected to the nation’s highest position of power. 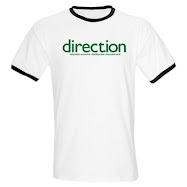 Then, using practical wisdom and a visionary business sense, he explains to the reader how those principles can be put into action, from dream to potential to dynamic action. Using Rodney Sampson’s simple, just, profound guidelines, every American can realize his personal dreams in a time of change. This concise, absorbing volume is the perfect commemoration of a watershed moment in our nation’s history. Order Your eBook Copy of "Yes We Dream. Yes We Can. 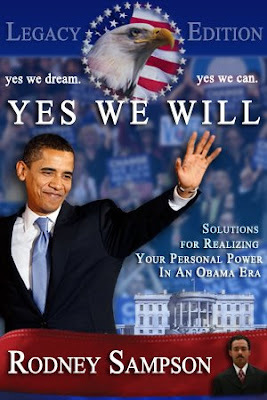 Yes We Will: Solutions For Realizing Your Personal Power In An Obama Era." today for only $8.88.